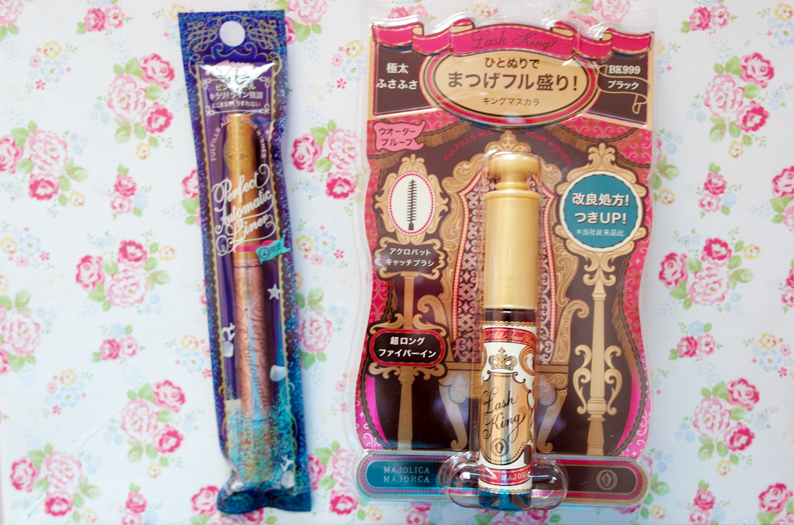 Majolica Majorca recently releases its summer 2014 Sweet Trap Hunter makeup collection and I received the Majolica Majorca Lash King and Perfect Automatic Liner #36 from their summer series to review! 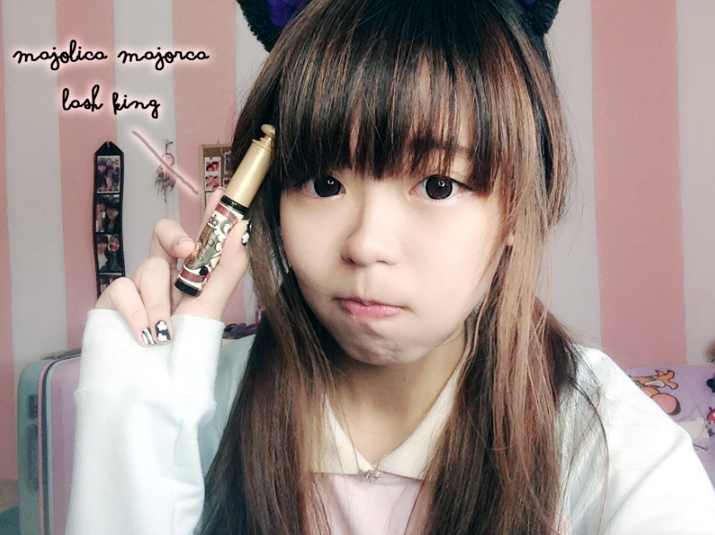 Let's start with the Majolica Majorca Lash King first! So when I received the Majolica Majorca Lash King mascara, I was pretty excited to try it out because it was said to be CLUMP-FREE. JUST ONE STROKE AND MY ALMOST NON EXISTENCE EYELASHES GREW LONGER WITHOUT CLUMPING!!!!! 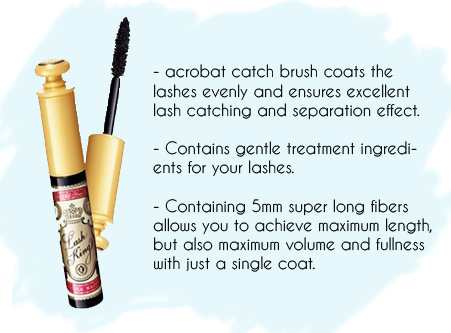 The best thing about the mascara is that it's produced with a waterproof formula which is very resistant to sweat, sebum and tears. 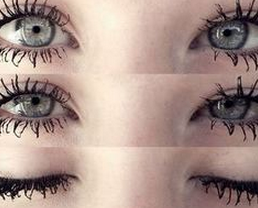 No more worrying about smudged mascaras when you cry at the movies! 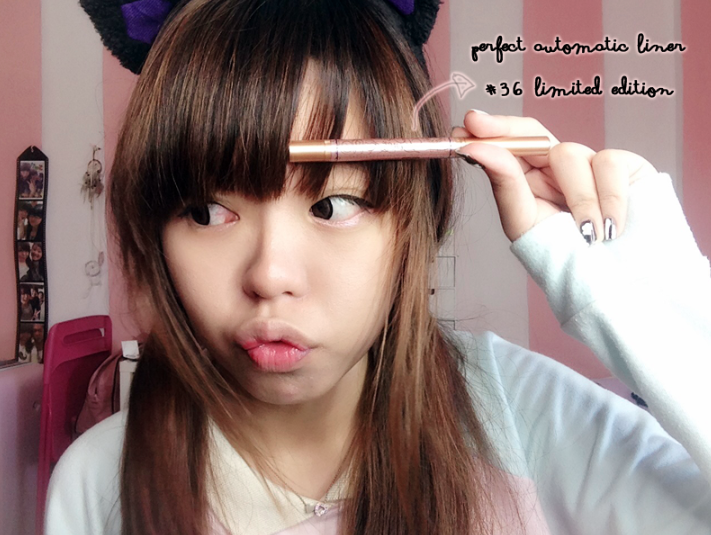 Next let's proceed on to the Perfect Automatic Liner #36 limited edition! 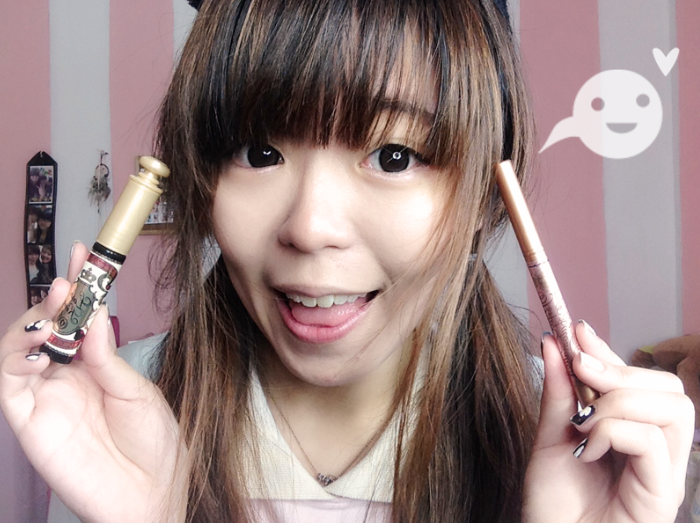 Just by hearing the name itself I thought it was a black/brown liquid eyeliner but it turns out to be a shimmery pearl color liner! 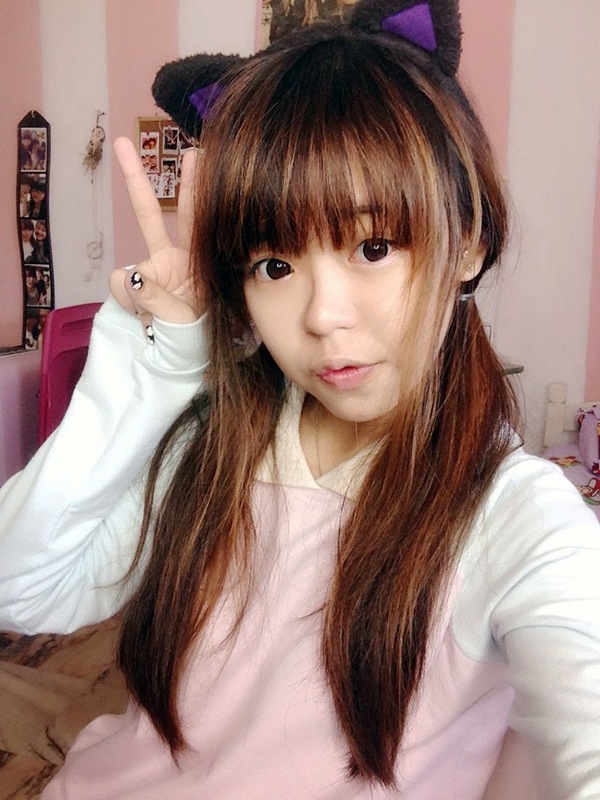 If you noticed, I actually used the liner on my lower lid in all the photos that I took in this post! It actually helps you to make your eyes appear bigger. You can also use it on your upper eyelid to create a soft liner look. 1. Pull out the pink stopper mounted between the cap and the eyeliner. 2. Press the cap firmly towards the eyeliner completely until there is no gap. 3. Shake well with the cap on. Remove the cap, gently flatten the edge of the felt-type eyeliner. 4. Turn the dial about 10 times (10 clicks) before using it. If you're interested in getting your own Majolica Majorca Lash King mascara and perfect Automatic Liner, you can get them at the Watsons store from 26th June onwards. 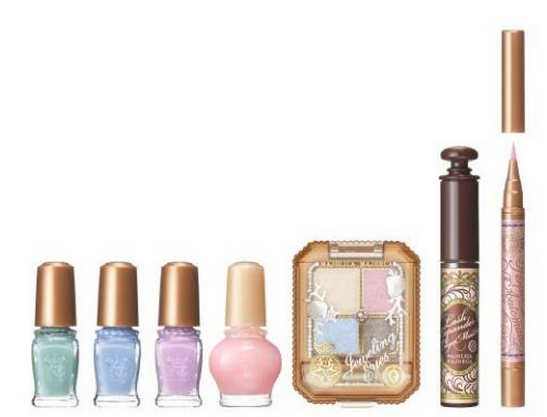 Majolica Majorca does not only have this two items, but also have other products such as nail polishes and eyeshadows.